For most women, traveling during pregnancy is safe. As long as both mother and fetus are healthy, women can travel safely until they are 36 weeks pregnant. When during pregnancy, traveling is not recommended ? Traveling is not recommended if women have certain pregnancy complications, including preeclampsia, premature rupture of membranes, and preterm labor. Travel also may not be a good idea in case of multiple pregnancies e.g twins or more. The best time to travel is the middle of pregnancy, between week 14 and week 28. Most common pregnancy problems happen in the first and third trimesters. During mid pregnancy, women’s energy has returned, morning sickness usually is gone, and it is still easy to get around. What should I do before going on a trip? Schedule a checkup with your gynecologist before you leave. Know your estimated due date (You can use this “Due Date Calculator” for important pregnancy milestones). If you have any problem during your trip, your caregivers will need to know for how long you are pregnant and when are you due. Check that you are up to date with your vaccines. Plan to bring any prescribed medications. Also bring along any over-the-counter medications that you may need, such as pain relievers and prenatal vitamins. Checkout how long it will take to get to your final destination. The fastest way often is the best. Make your travel plans easy to change. 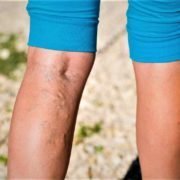 What is deep vein thrombosis (DVT) and why is it a concern for pregnant travelers? Walk and stretch at regular intervals. For example, when traveling by car, make frequent stops to get out and stretch your legs. You should know your due date when booking your flight. Complete your flight before 36 weeks of pregnancy. Some airlines require a medical certificate or restrict travel completely during the last month of pregnancy. For international flights, the cutoff point often is earlier, sometimes as early as 28 weeks. Check your airline’s policies when planning your journey. Book an aisle seat so that you can get up and stretch your legs every 2 hours or so. Avoid carbonated drinks and gas-producing foods before your flight. Gas expands in the low air pressure in airplane cabins and can cause discomfort. Wear your seat belt at all times. Tips for traveling by car? Wear your seat belt every time you travel by car. Buckle the belt low on your hip bones, below your belly. Place the shoulder belt off to the side of your belly and across the center of your chest (between your breasts). Make each day’s drive as short as possible. Make frequent stops so that you can move around and stretch your legs. Tips for traveling outside the country? Check your health insurance policy international coverage. If not, you may buy special health care insurance for international travelers. Travel to developing countries has the risk of consuming contaminated food and water. Travelers can become sick if they eat raw or under cooked food or drink local water. This short-term illness, called “traveler’s diarrhea,” may be a minor problem for others, but it is a greater concern for pregnant women. Serious illnesses, such as hepatitis A and listeriosis, also can be spread by contaminated food and water. 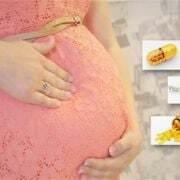 These diseases can cause severe complications for a pregnant woman and her baby. If you get diarrhea, drink plenty of fluids to combat dehydration. Before taking a diarrhea treatment, check with your gynecologist to make sure it is safe. The best way to prevent illness is to avoid unsafe food and water. When should I seek emergency medical care when traveling? Pelvic or abdominal pain or contractions. Rupture of the membranes (your “water breaks”). Signs and symptoms of preeclampsia (headache that will not go away, swelling of hands or face, seeing spots or other changes in eyesight ). Signs of Deep vein thrombosis (DVT).